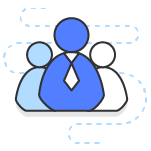 AWS and its partner ecosystem provide tools and services which help you develop serverless applications on AWS Lambda and other AWS services. These frameworks, deployment tools, SDKs, IDE plugins, and monitoring solutions help you rapidly build, test, deploy, and monitor serverless applications. Below is a selection of tools that you can use for your serverless application development cycle. Choose from a variety of AWS, open source, and third-party web frameworks that simplify serverless application development and deployment. Below is a selection of popular frameworks across many supported languages. AWS SAM Local is a complementary CLI tool that lets you locally test Lambda functions defined by AWS SAM templates. Below are a selection of popular frameworks across many supported languages. You can build a continuous integration and delivery (CI/CD) workflow for your serverless applications using AWS Developer Tools. You can use AWS CodePipeline with the AWS Serverless Application Model to automate building, testing, and deploying serverless applications. 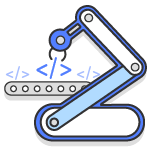 AWS CodeBuild integrates with CodePipeline to provide automated builds. You can use AWS CodeDeploy to gradually roll out and test new Lambda function versions. Learn to build a development workflow for serverless applications by watching our online tech talk. Visit the AWS Lambda documentation for more information on CI/CD. AWS CodeStar enables you to quickly develop, build, and deploy applications on AWS. AWS CodeStar provides a unified user interface, enabling you to easily manage your software development activities in one place. With AWS CodeStar, you can set up your entire continuous delivery toolchain in minutes, allowing you to start releasing code faster. 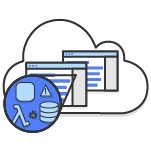 AWS CodeBuild is a fully managed build service that compiles source code, runs tests, and produces software packages that are ready to deploy. CodeBuild scales continuously and processes multiple builds concurrently, so your builds are not left waiting in a queue. AWS CodeDeploy is a service that automates application deployments to a variety of compute services including Amazon EC2, AWS Lambda, and instances running on-premises. 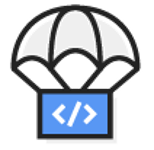 CodeDeploy fully automates your application deployments eliminating the need for manual operations. You can use partner tools for CI/CD such as CloudBees and CodeShip. You can monitor and troubleshoot the performance of your serverless applications and AWS Lambda functions with AWS services and third-party tools. Amazon CloudWatch helps you see real-time reporting metrics and logs for your serverless applications. You can use AWS X-Ray to debug and trace your serverless applications and AWS Lambda. AWS X-Ray helps developers analyze and debug production, distributed applications, such as those built using a microservices architecture. You can use X-Ray to trace requests made to your serverless applications built using AWS Lambda and other services. This enables you to understand the performance of serverless applications, allowing you to pinpoint the root cause of issues so that you can address them. Visit the Lambda documentation to learn more. 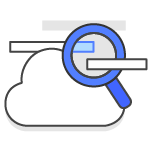 Amazon CloudWatch is a monitoring service for AWS cloud resources and the applications you run on AWS. With CloudWatch, you can monitor metrics for AWS Lambda and many other services. All logs generated by your Lambda function code are automatically stored in CloudWatch Logs to help you troubleshoot issues. Visit the Lambda documentation to learn more. You can use partner tools with AWS Lambda such as IOpipe, Datadog, Loggly, Splunk, and Sumo Logic. You can author code for AWS Lambda functions with AWS Cloud9 or within your existing integrated development environment (IDE) using our IDE plugins. 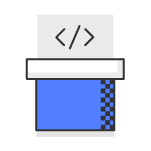 For local testing, you can use the SAM Local CLI tool which works with any IDE and Cloud9. You can also use the AWS language SDKs to build serverless applications made of AWS Lambda functions and more using AWS APIs. AWS Cloud9 s a cloud-based integrated development environment (IDE) that makes it easy to write, run, and debug serverless applications. It preconfigures the development environment with all the SDKs, libraries, and plug-ins needed for serverless development. Cloud9 also supports the Serverless Application Model (SAM) so you can use SAM templates in Cloud9 to provide a simplified way of defining resources for your serverless applications. Additionally, Cloud9 allows you to edit and debug AWS Lambda functions locally, which eliminates the need to upload your code to the Lambda console for debugging. You can author Java code, create and upload a deployment package, and create your AWS Lambda function in Eclipse. You can use pre-built templates to quickly develop and deploy .NET Core-based C# Lambda functions from Visual Studio. 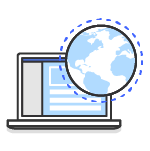 Use the AWS SDKs to simplify using AWS Lambda and other AWS services with an API tailored to your programming language.